COINTEK LTD	+1.00	Received Payment 1.00 USD from account U17276847. Memo: Shopping Cart Payment. Withdraw to Fairmonitor from cointek.biz. COINTEK LTD	+2.00	Received Payment 2.00 USD from account U17276847. Memo: Shopping Cart Payment. Withdraw to Fairmonitor from cointek.biz. COINTEK LTD	+15.00	Received Payment 15.00 USD from account U17276847. Memo: Shopping Cart Payment. Withdraw to Fairmonitor from cointek.biz. COINTEK LTD	+15.00	Received Payment 15.00 USD from account U17276847. Memo: API Payment. Withdraw to Fairmonitor from cointek.biz. COINTEK LTD	+2.00	Received Payment 2.00 USD from account U17276847. Memo: API Payment. Withdraw to Fairmonitor from cointek.biz. COINTEK LTD	+10.00	Received Payment 10.00 USD from account U17276847. Memo: API Payment. 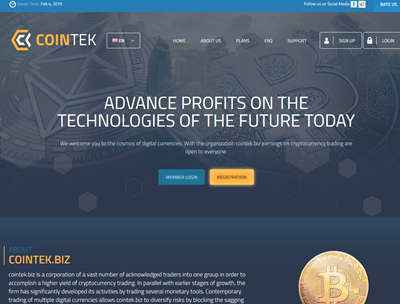 Withdraw to Fairmonitor from cointek.biz. COINTEK LTD	+20.00	Received Payment 20.00 USD from account U17276847. Memo: API Payment. Withdraw to Fairmonitor from cointek.biz. COINTEK LTD	+4.00	Received Payment 4.00 USD from account U17276847. Memo: API Payment. Withdraw to Fairmonitor from cointek.biz. COINTEK LTD	+0.5	Received Payment 0.5 USD from account U17276847. Memo: API Payment. Withdraw to Fairmonitor from cointek.biz. COINTEK LTD	+3.00	Received Payment 3.00 USD from account U17276847. Memo: API Payment. Withdraw to Fairmonitor from cointek.biz. COINTEK LTD	+18.00	Received Payment 18.00 USD from account U17276847. Memo: API Payment. Withdraw to Fairmonitor from cointek.biz. COINTEK LTD	+5.00	Received Payment 5.00 USD from account U17276847. Memo: API Payment. Withdraw to Fairmonitor from cointek.biz. COINTEK LTD	+17.00	Received Payment 17.00 USD from account U17276847. Memo: API Payment. 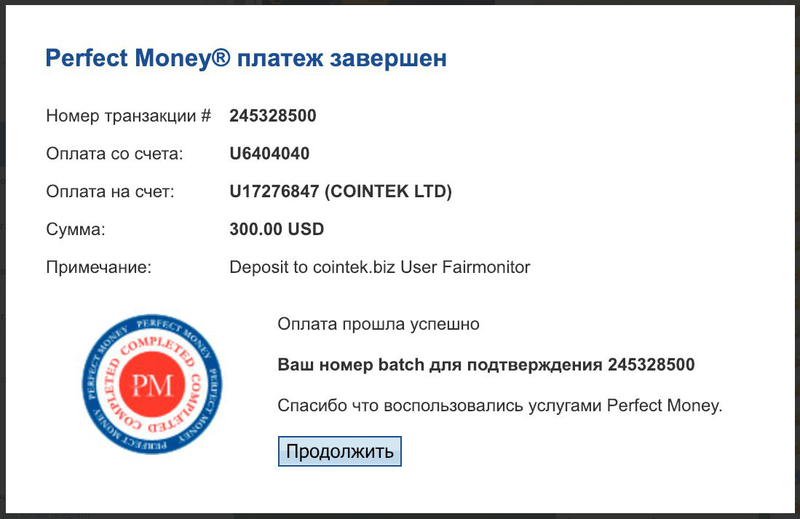 Withdraw to Fairmonitor from cointek.biz.